Galicia, the region in the northwest corner of Spain contiguous with Portugal, is officially known as the Autonomous Community of Galicia. It is recognized as one of the historical nationalities making up the Spanish state, as legitimized by the Spanish Constitution of 1978. Although Galicia and Portugal belong to different states, there are frequent allusions to their similarities. 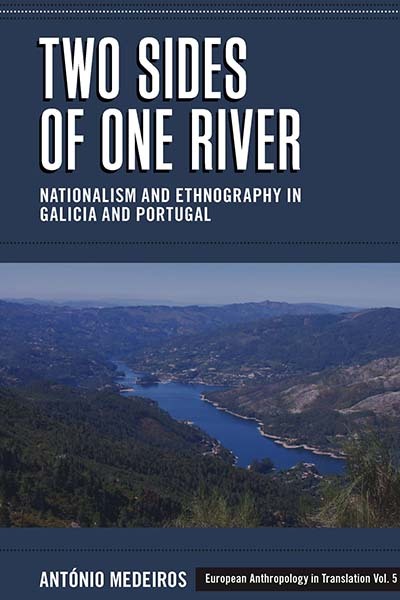 This study compares topographic and ethnographic descriptions of Galicia and Portugal from the nineteenth and twentieth centuries to understand how the integration into different states and the existence of nationalist discourses resulted in marked differences in the historical representations of these two bordering regions of the Iberian Peninsula. The author explores the role of the imagination in creating a sense, over the last century and a half, of the national being and becoming of these two related peoples. António Medeiros teaches in the Department of Anthropology of the Lisbon University Institute (ISCTE-IUL) and is a research fellow at CRIA-ISCTE. He is the author and editor of several books, and was cofounder of the journal Etnográfica. His current projects include a multisited ethnographic research project in Spain and another in Istanbul.